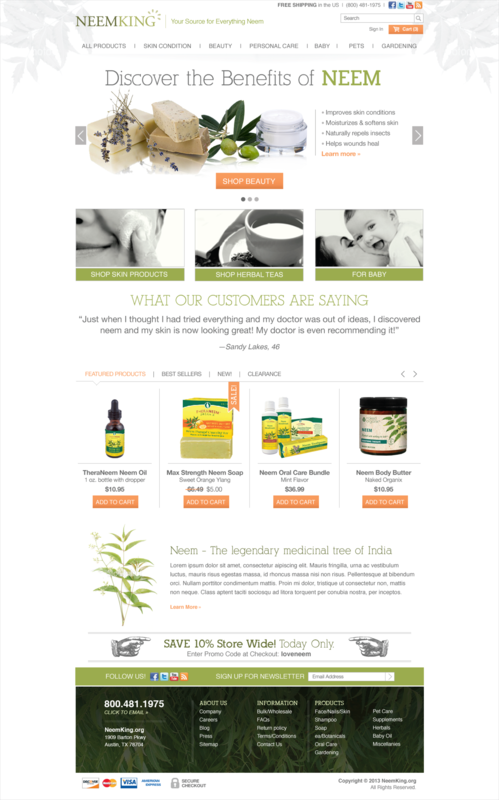 NeemKing is an ecommerce website I worked on while employed at Graphik Creative. I was responsible for creating a home page design that would appeal to customers, make the online shopping experience more enjoyable, and increase clickthrough and conversion rates. I worked with the client through various revisions to discover a solution that wowed everyone. Their website wasn't the only thing that got a facelift. We also discussed where they wanted to go with their brand and came up with a logo that spoke to a more mature audience, was refreshing, and true to their product.